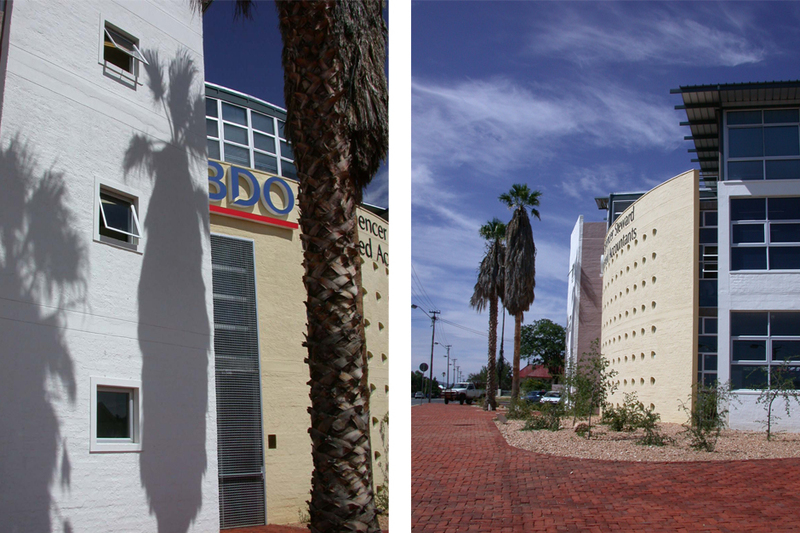 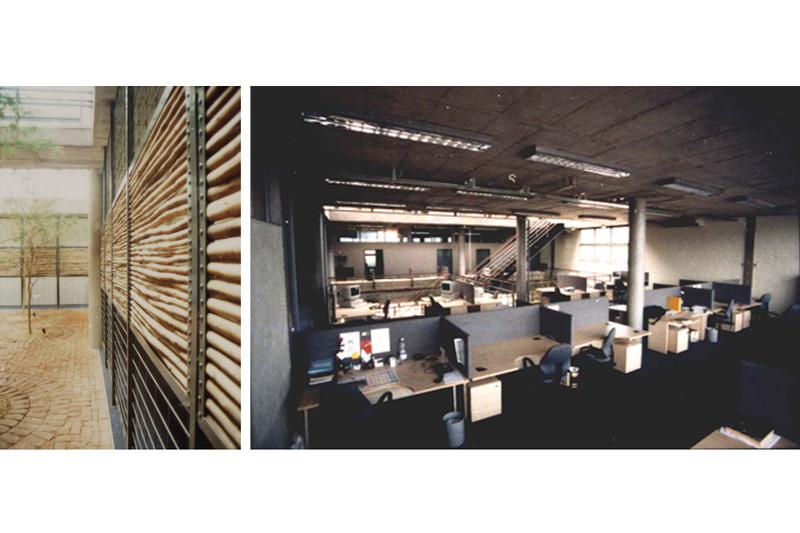 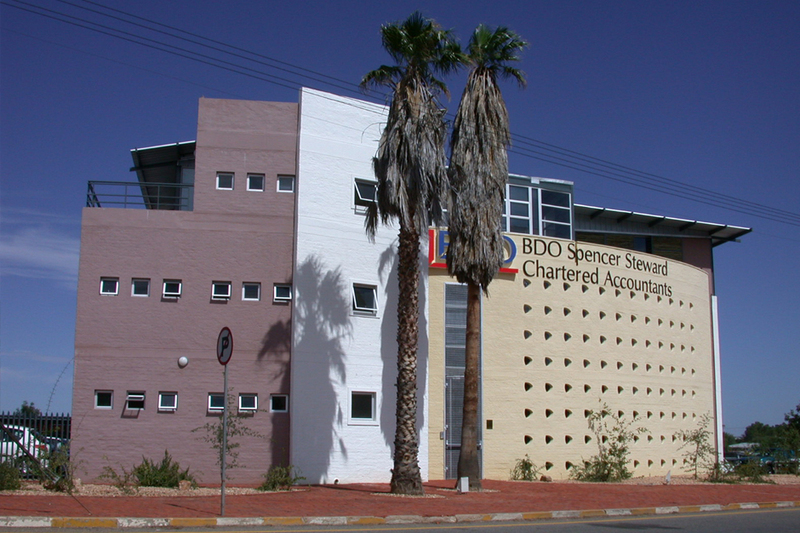 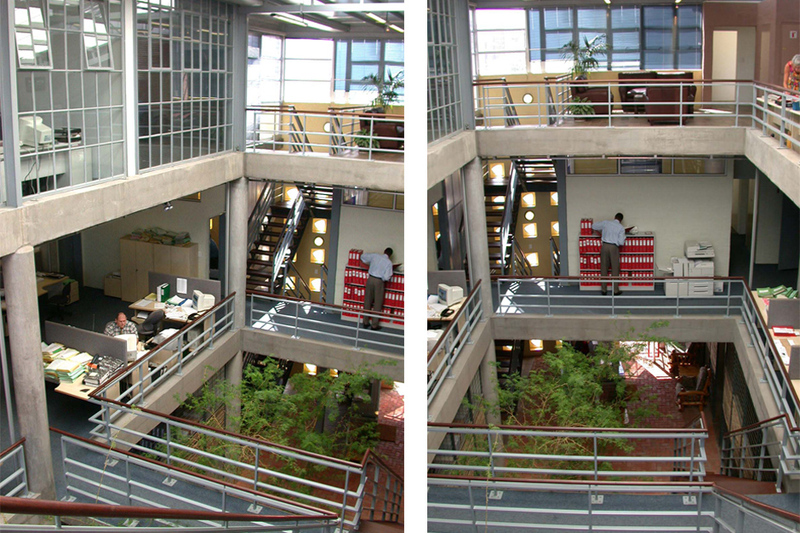 Our first office building for this international chartered accounting company, is still going strong, a landmark at the west end of Fidel Castro in the Windhoek CBD and creates a free flow of urban space on a prominent intersection, unlike adjacent buildings barricaded behind high walls and security fencing. 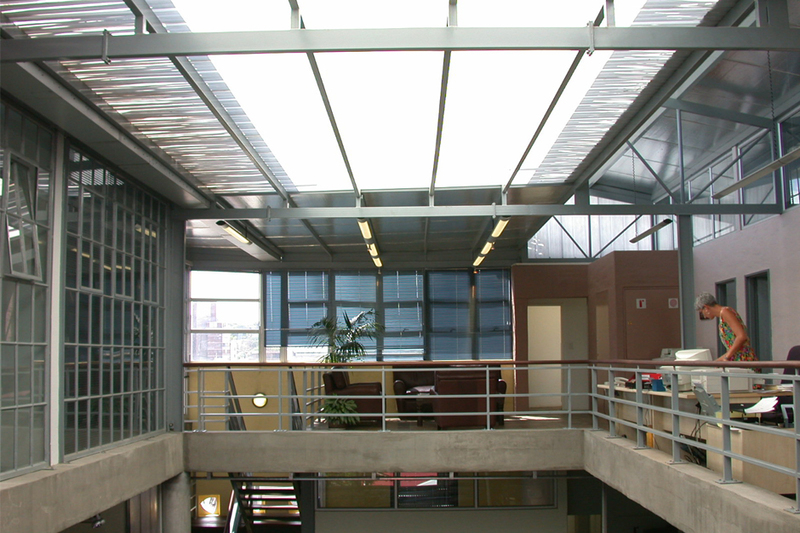 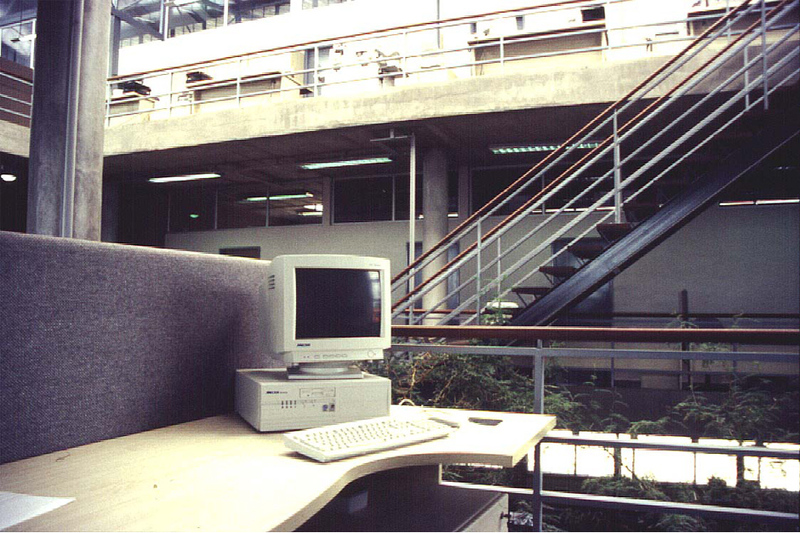 Now, 16 years after construction, the indigenous landscaping provides welcome relief and shade on the street and the central atrium lit by a translucent roof still creates a sense of community for the three floors of offices around it. 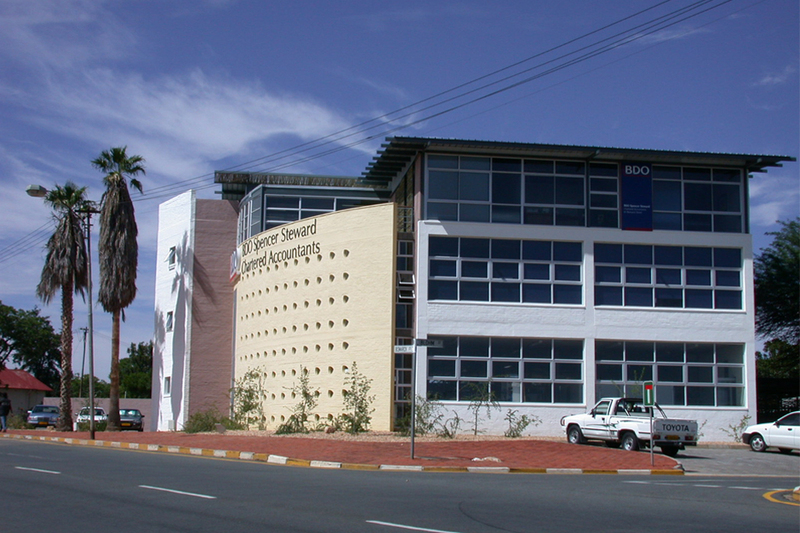 Professor Iain low of the University of Cape Town recently commented that this embodies the concept of the “Eumbo”, the welcoming courtyard of the Oshiwambo homestead.